Why should I use Industry Standard Textiles ? International Standards make things work. They give world-class specifications for products, services and systems, to ensure the expected outcomes of measurements , compatibility, durability, design, for the consumer. They are instrumental in both facilitating international trade and being part of international trade. In this new global environment its important that the equipment you provide will match the expectations of the production you are working on. We can assure you when you buy our textiles, that is what you will get . As most DOP’s , Gaffers and Lighting technicians know, light calibrations should be predictable when textile choices are made, this helps them match and complement specific filters. It also insures that no mater what brands of equipment you have the effect will be universal. Unless you are risking a new idea or set up on your production , its advisable not to use any old fabric. What textiles should I use for controlling or modifying light ? We commonly classify lighting Textiles into 3 Light modifying categories. As the artist it is up to you to use these tools to create the style and atmosphere desired. Textiles that Reflect and Bounce Light. Reflection, is of course, reflected light. 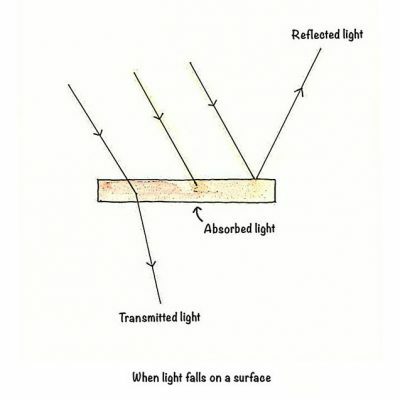 When Reflecting light off a material the surface of that material will determine the quality of light that is reflected. Soft (Matte or Dull), Hard, (Gloss or Shinny) Textured and Coloured, all these create unique effects. Along with these grades colours will play a huge role. Generally reflection textiles are Silver, Gold, Whites, Greys, and naturals ie beige, skin tones and daylight blues. Textiles that Transmit the light and Diffuse it. Diffusion or textiles that transmit light are used to soften a light source. It is important to control the different diffusion carefully. Try to match your diffusion to your key source, ie if your key source is ½ grid, try to match ½ grid as your ambiance or fill. Absorption of light is not only used to completely block light but it can also be used to correct reflections coming from a too bright light source, this is called controlling or selective transmission. White nets are an excellent means to control a large reflective surface. If a 12 x 12 silver reflector is to hard you can easily control it with a white net layered on-top or in-front of it. Black nets can also be used, however they do not diffuse so well. Black nets over large white diffusion’s can reduce the reflected light from the diffusion surface, it can help reduce reflections this way. Grid cloths and silks can also be used in this way. Black and grey colours are popular large overheads as they can reduce light but not reflect light from its surface. Black or solid materials are used as light cutters or backdrops. Velvet / velour is a great shooting black (background). It is a highly light absorbent textile, due to its plush finish and the Quality of the Black gives a perfect ???? Use large white screens to mask off your shooting area. This prevents contamination and does not reduce your ambience, Black should be used when light levels are low. What do I need in a basic Lighting Kit ? What sort of product life expectancy should I expect ? With Careful handling and storage , 5 years of moderate use is a fair guess. All our products are sewn with high tenacity, UV treated threads, this ensures a long life. Textiles however must achieve the desired effects and results come before durability this is why we refer to many products as expendables. Our Sourcing of materials always uses durability above cost to ensure Best Quality! Should I worry about flame retarding ? It is the equipment owners “Duty of Care”to maintain the safety regulations, and make sure their equipment reaches the legal requirements of the territory its used in. How do I clean my products ? OR use Specialist dry cleaners or industrial cleaners always check they can guarantee no harm will come to the textiles! My light control textile has been burnt by a lamp ! 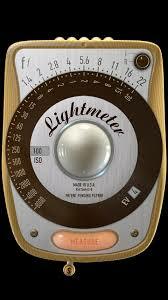 A common mistake by lighting assistants is setting a light control textile too close to a film lamp. If this occurs to often the textile will be susceptible to discolouring, fibre damage and even burning. Unless it is specifically a fire proof material, make sure it is kept or set at a safe distance. If you hold your hand in front of the light source and your hand burns then it is a true indication if the textile is put there it will get damaged. What size do I need ?